Nov. 28, 2018With a staggering 8 million tons of plastic ending up in the ocean each year, and 91% of plastic not currently being recycled, it’s safe to say we have some work to do to clean up our act — particularly when it comes to our oceans and waterways. The good news is there are tons of small changes we can make each and every day to live a little more eco-consciously. By swapping out as much plastic as possible, becoming informed consumers, and making a strong effort to reduce our carbon footprint, the power really is in our hands. These 10 tips highlight small ways we can each contribute to help minimize the effects of every day living on our oceans. The amount of plastic that ends up in our oceans each year poses a major threat to our marine wildlife. Make a conscious decision to reduce your personal use of plastic straws, grocery bags, takeout containers, coffee cups and water bottles. There are reusable and sustainable choices for nearly every type of single-use plastic out there today. It makes a difference! Global fish populations are being depleted at an alarming rate due to high demand and irresponsible fishing practices. Do your part to reduce demand for overexploited species by carrying a sustainable seafood guide or download an app like Ocean Wise or Seafood Watch directly to your smartphone. What eventually ends up as ocean pollution often starts as beach litter. Enjoy your day at the beach without contributing to the pollution problem by making sure you clean up all litter and trash around you. No beach nearby? Gather a group for a local river clean up instead. Things like fertilizer, sunscreen and even your favorite face scrub can pose a major threat to our oceans. Excess fertilizer eventually makes its way into our ocean resulting in a “dead zone” which kills fish and shrimp due to lack of oxygen. Harsh chemicals in many sunscreens are destroying our coral reefs and marine ecosystems, and plastic microbeads in beauty products are further contributing to ocean pollution and threatening fish populations. Make an easy switch to a Reef Friendly sunscreen and ditch the microbeads to help reduce this type of ocean pollution. When charting the ocean waters, be mindful of the area and sea life around you. Never throw anything overboard, don’t touch the reef when snorkeling, and if your next vacation is going to be a cruise, research what’s available so you can choose the most eco-friendly option. Avoid beauty products containing shark squalene and jewelry or hair accessories made from coral or tortoiseshell. These items have been directly linked to ecosystem destruction and unsustainable fishing habits. The burning of fossil fuels and the effects of climate change are impacting our oceans by making the waters more acidic. Reduce your energy use by leaving the car at home and choosing to walk or bike, using high-efficiency appliances, and switching to compact fluorescent lightbulbs. And don’t forget about your thermostat — add a few layers in the winter or use fans in the summertime to avoid oversetting. While the best option is always going to be choosing a sustainable and reusable option over plastic, sometimes it isn’t always possible. Proper recycling helps keep “new” plastic from circulating in addition to keeping “old” plastic from entering our waterways. Check your local recycling center for what kinds of plastic they accept or use a tool like Earth911 to guide you. Knowledge is power, and the more you know, the more empowered you will be to spread the word, make conscious decisions, and inspire change. Let your knowledge and understanding of the problem fuel you versus turning a blind eye and adopting a “my actions won’t matter” mentality. Organizations like Oceana are doing extremely important work for ocean conservation, and they need your support. Whether through financial donations or volunteer work and advocacy, every cent and every voice makes a difference. Currently, Oceana is working hard on one of their overarching campaigns, Save the Ocean, Feed the World. Due to overfishing, bycatch, and polluted waters, many wild fish populations have been reduced to historically low levels. With Earth’s population projected to hit 9 billion by the year 2050, our planet will be tasked with producing 70% more food to meet hunger needs by this time. Luckily, there IS a sustainable option to help contribute to feeding the world’s population: wild fish. Oceana estimates that by restoring our oceans, we could feed 1 billion people a healthy seafood meal each day. Part of Oceana’s work and campaigns are focused on introducing more responsible fishing practices which could possibly increase the global fish catch by 15 percent from current levels. In conjunction with boosting ocean abundance and biodiversity, these measures will put us on the right track to meet the hunger needs of 1 billion people per day by 2050. 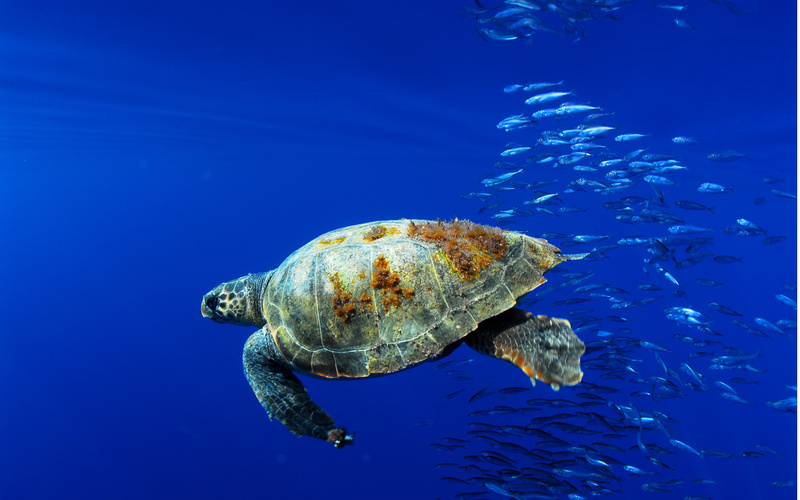 Learn more & support Oceana’s important initiatives.